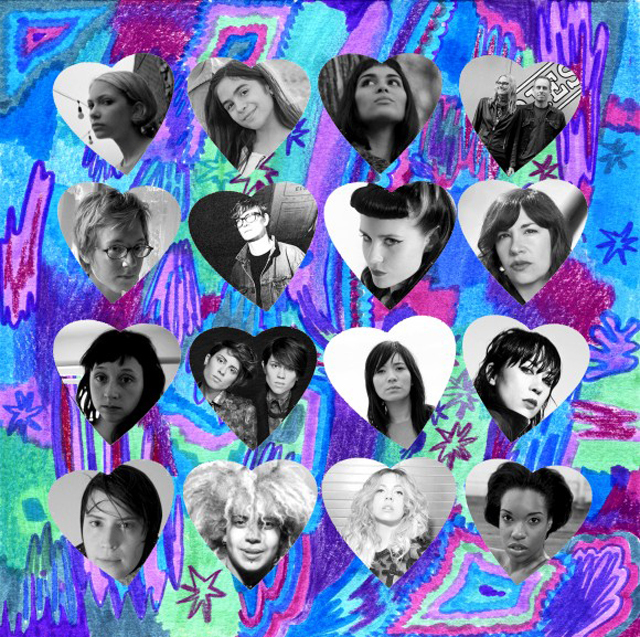 Waxahatchee’s Katie Crutchfield, MNDR, Kate Nash, Kimya Dawson, Suzy X, Tavi Gevinson, Katy Davidson, Marianna Ritchey, Geneviève Castrée (Woelv, Ô Paon), Thao Nguyen, Storey Littleton, Tegan and Sara, Dee Dee Penny of Dum Dum Girls, Ted Leo, och Aimee Mann. Psalm One rappar. Carrie Brownstein levererar en improvisation om pizza.